With rentals from Vintage Tabletop Rental and meticulously thought out styling by Danielle Guthrie at www.danielleelizabethinc.com, the whole shoot came alive! Gold details gave a feeling of wealth and glamour, and the geometric shape of the decor put a modern spin on the Great Gatsby inspired theme. The most beautiful greenery and ferns made a fresh, unique bouquet! And as you can tell, they really make any wedding picture extra special! 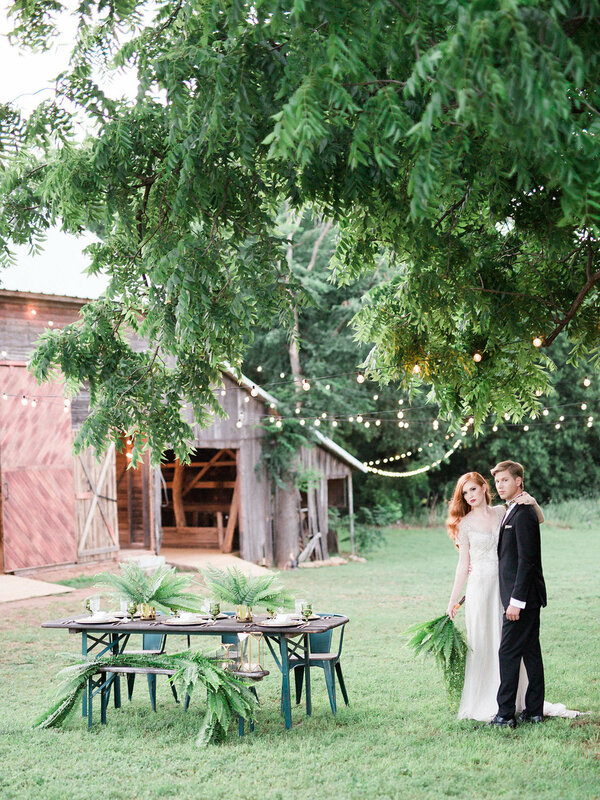 Thank you to all the vendors that worked with us on this special Green and Gold styled shoot!